I live in Colorado where we have populations of the pack rat, aka wood rat. Do you have any experience with these intelligent critters? 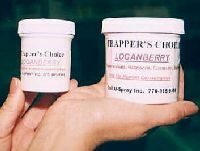 Pecan paste or loganberry……either one better than the other? Any other ideas for baits? Thanks..
Wood rats (aka: roof rats) tend to target grain, seeds and nuts over produce. But they can target fresh garden vegetables or fruit too so either PECAN PASTE or LOGANBERRY PASTE will usually work well. The real key to catching these guys is to either mimic what they’re currently eating or to establish a new feeding “station”. So in my experience, if there is an abundant supply of acorns, pecans or some other nut, using MIXED SEED and Pecan Paste will generally work well in one of the LIVE TRAPS listed in our RAT CONTROL article. The key for live trapping to make the set where the rats naturally feed. Now if you’re not sure where this location might be, you can create one. Simply set out some mixed seed where you see activity (droppings, etc.). And once you see some of the seed is taken, replenish it. Do this 2-3 times to insure they’re “comfortable” feeding in this area. Next, set out a live trap with the door wired “open”. Place some seed just outside the entry way and see if they take it. If they do, replenish you offering by placing some just inside the trap. When that’s taken, place a good 6-8 oz of seed, along with 1/2 teaspoonful of Pecan Paste, behind the trip pan (smear some Pecan Paste on the trip pan too). 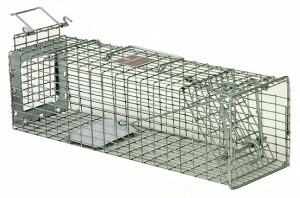 This will surely capture your target animal and if you set up 2-3 of these traps throughout the home, you should be able to quickly trap out the local population. Now if by chance they are currently feeding upon some kind of local plant, fruit or vegetable, use this in place of the nut/seed mix and go with the LOGANBERRY PASTE over the Pecan. I have pack rats in an old cabin and I’m having hard time trying to catch them in havaheart trap. Any suggestions? Follow the guidelines detailed above and you’ll get positive results. 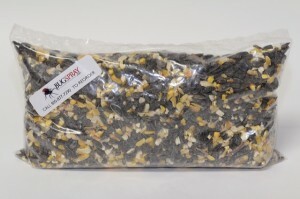 “Dummy sets” will help get them comfortable and with the right bait, any rat can be caught.